The garden is getting very leafy again now as the trees break out and the larger rhododendrons are adding their colour to the season. 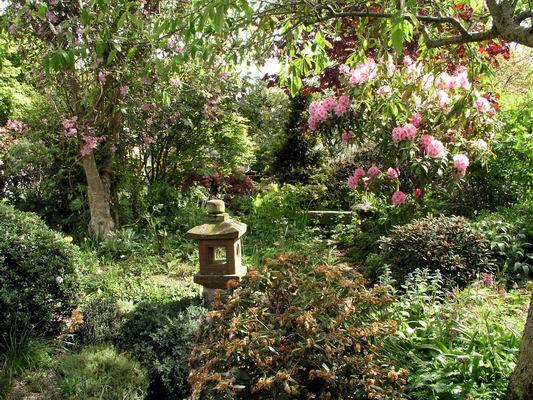 Trees, shrubs and sub-shrubs are essential elements in garden design. 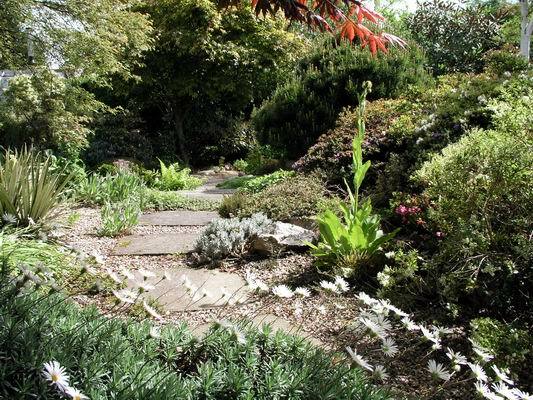 They create form and space giving a very pleasing effect of being in a landscape, our haven, and they also provide a host of different environments for planting shade-loving and woodland plants. 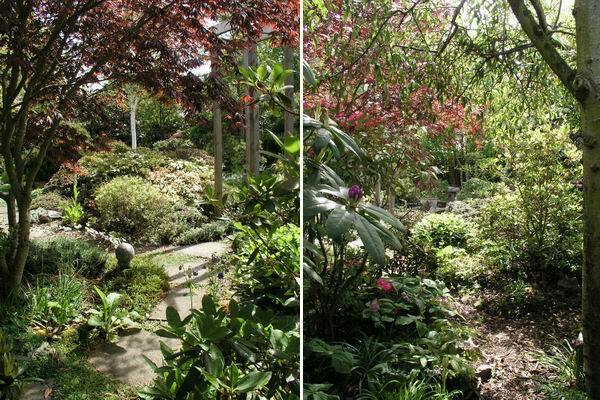 We have designed the garden to give many different vistas as you walk around - these views use diagonals to give the illusion that the garden is bigger than it is, and from no point can you see the entire garden. Like a good artist who uses composition to guide your eye around their work, our garden leads you as you walk around and stops you at certain planned view points. Birds also love the cover and food supplied by the trees and shrubs and we always have many more birds in our garden than any of our neighbours, who do not have this canopy of greenery. The trees and shrubs also give lots of shelter for woodland species. Living this far north it is not so much the sun they need shelter from but the wind. Most woodland species have had no need to evolve a structure to withstand strong winds and can they can get completely shredded in a good strong gale in Aberdeen. 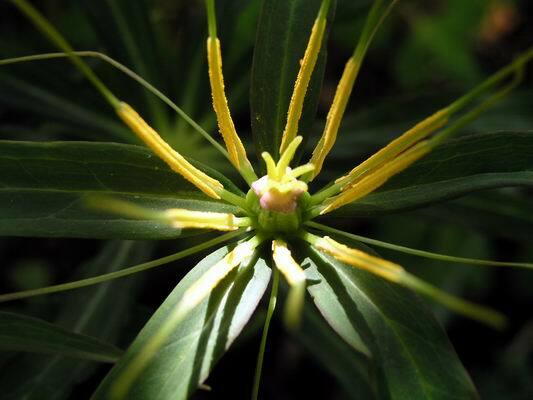 Arisaemas do not mind being planted under the larger rhododendrons and they appreciate the shelter from the wind that the shrubs provide. 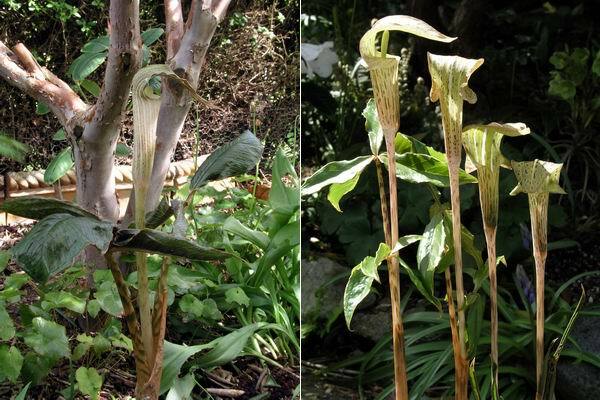 On the left is an Arisaema sp. 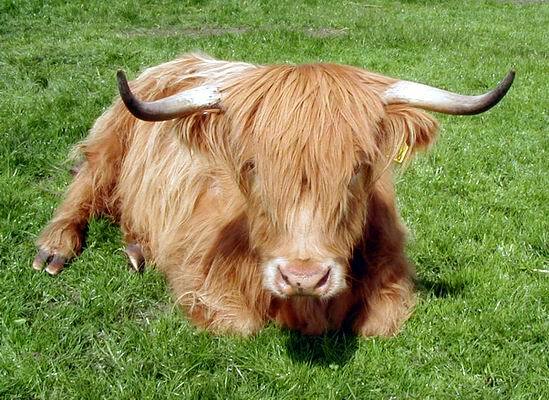 that has not set seed for us yet, nor increased in the years that we have grown it. Arisaema nepenthoides (right) on the other hand regularly sets seed and this is a group of our own seedlings. Arisaema griffithii is slowly forming a clump by offsets plus it sets seed, even though we started with a single plant. 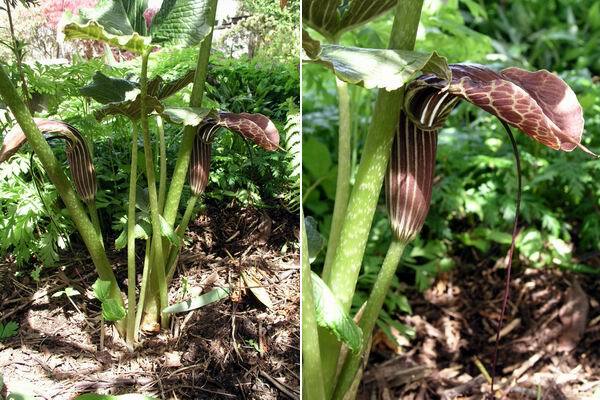 I have read that Arisaema flowers are either male or female. My observation of the ones we grow is that when they are young (or small) they are male or female the same (plant can be male one year and female the next) but when they are good and strong they are both male and female and so can set seed. Paris also thrives under trees and shrubs. 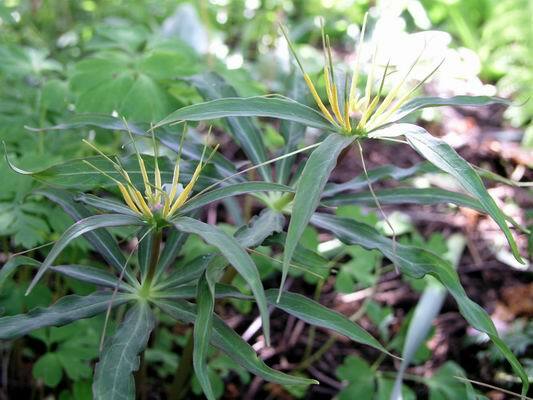 Related to trillium but not so ornamental, they are often termed 'connoisseurs' plants. They do not have flowers that leap out at you but they do have a subtle beauty for those willing to look closely at them. We have to look in the undergrowth to find some of ours but it is well worth the search as they stare back up at us, perfectly happy in the leafy soil through which they are spreading. 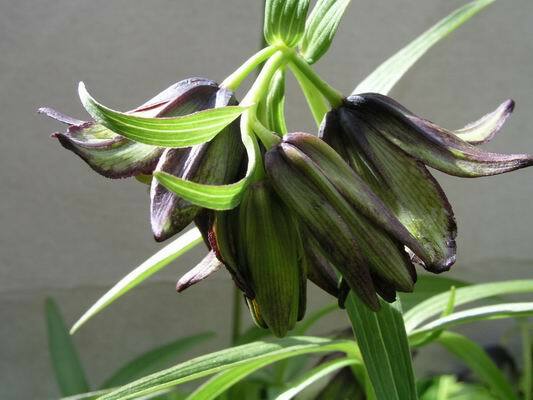 One of the last frits to flower is always Fritillaria camschatensis. When the sun does come out they are always swarming with flies which carry yellow pollen on their back from flower to flower, fertilising as they go. 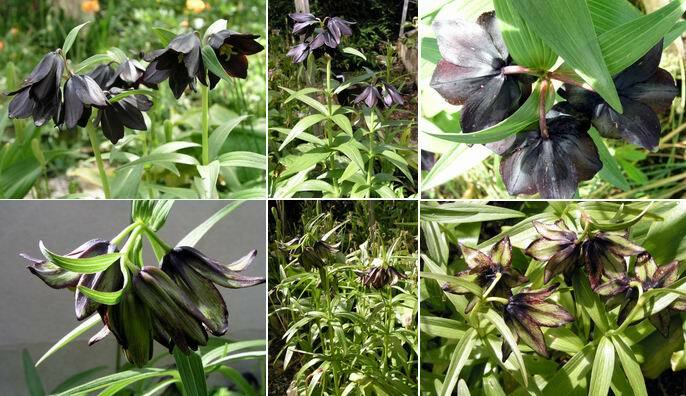 The dark colour in flowers seems to have evolved to attract flies rather than bees. 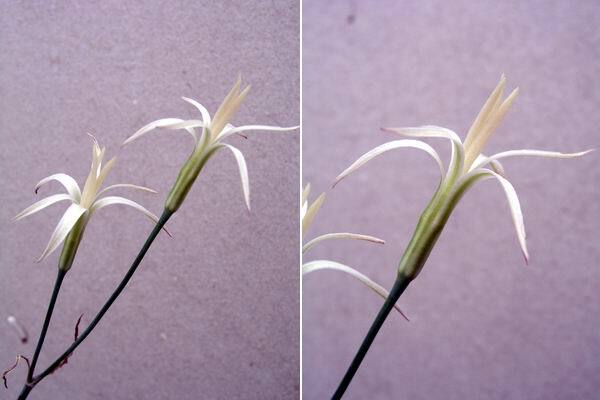 This is the Eurasian form which has broader and darker flowers than the North American forms and when you see the fly's eye view you can see how it is guided to receive some nectar from the centre of the flower, collecting pollen as it pushes past the stamen while at the same time rubbing pollen from another flower onto the hairy ends of the three stigma branches. The Eurasian form is in the upper row of pictures and the greener forms, with narrower tops to the flowers, are from Alaska. 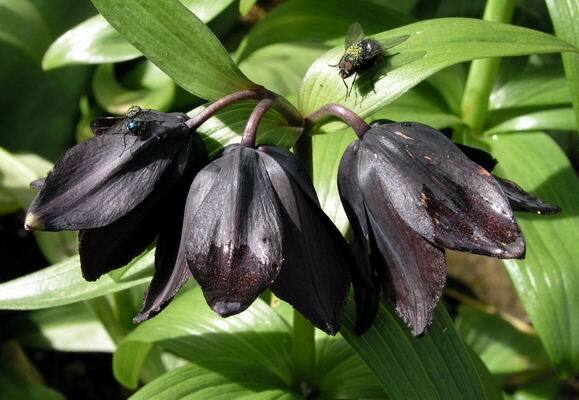 Both forms grow well in the garden but the bulbs do have a habit of working their way up towards the surface where they can get too hot and dry and break down into small non-flowering bulbs. It is best to lift them every two years or so and plant them back deeper; refreshing the soil with some nice garden compost, this should ensure that they go on flowering well. A question to all you bulb loggers: does any one know what the name of this seed raised Andean bulb is?